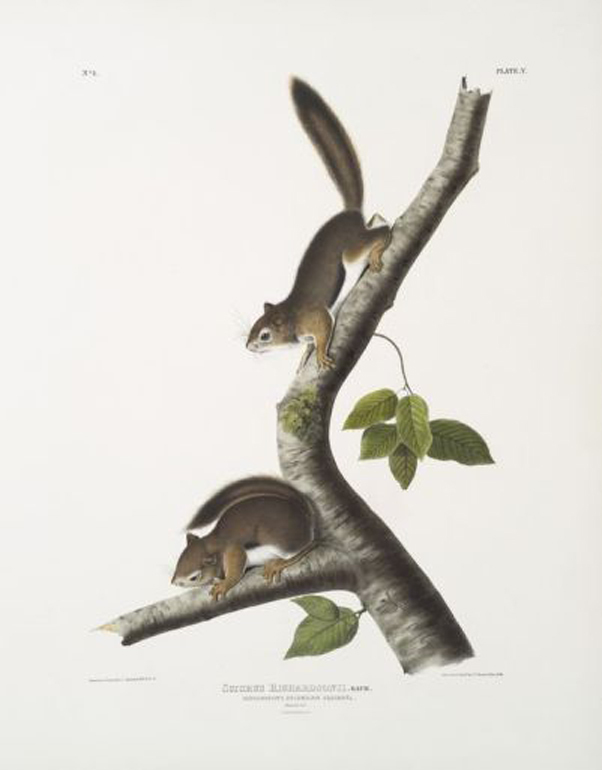 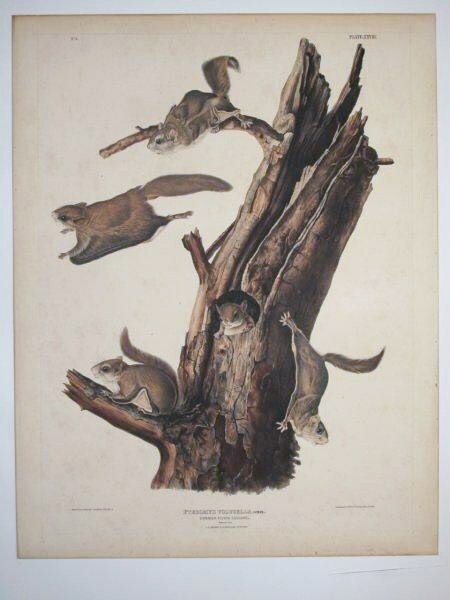 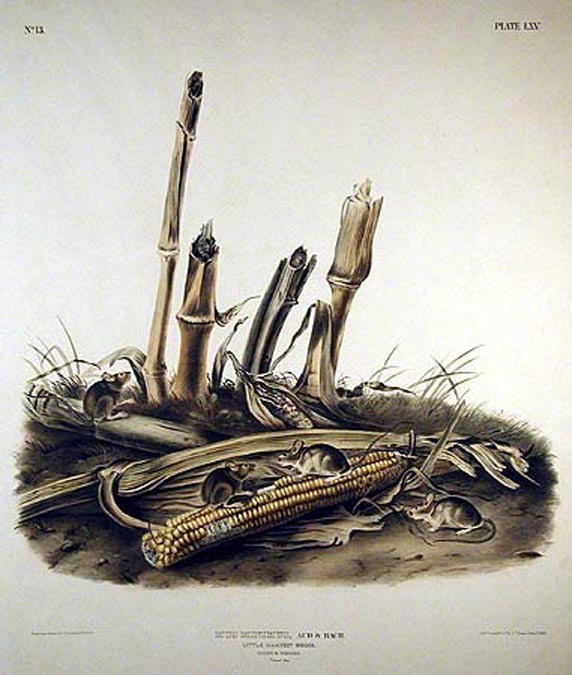 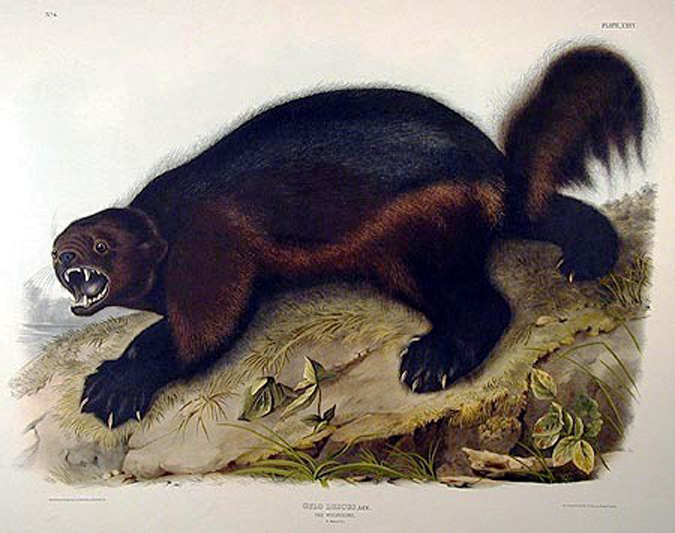 In the early 1840's Audubon decided to paint the animals of North America. 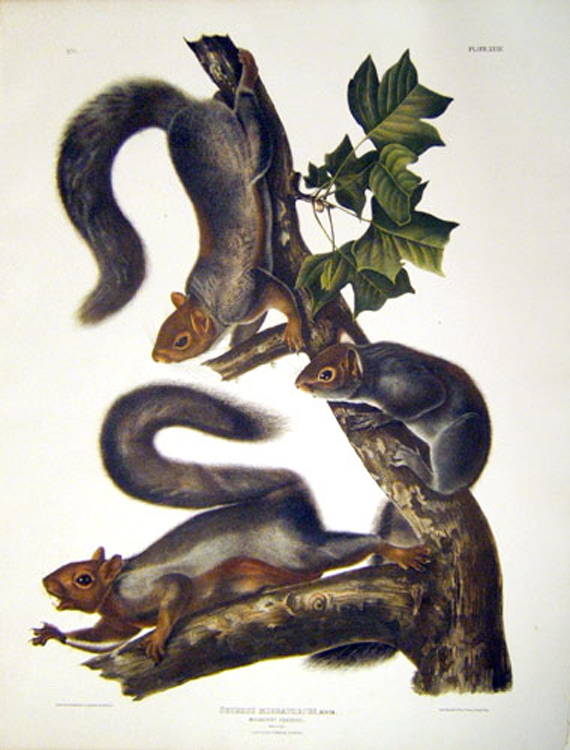 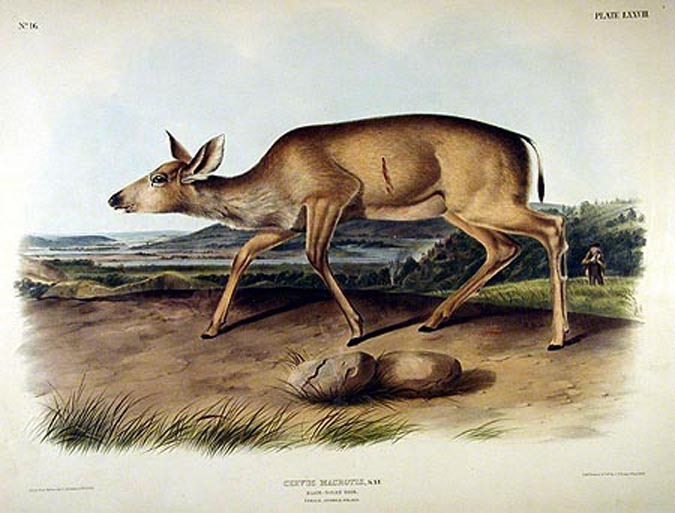 Having achieved worldwide fame with his "Birds", he joined with his son, John, and Dr. John Bachman of Charleston, S.C. to draw and describe America's quadrupeds. 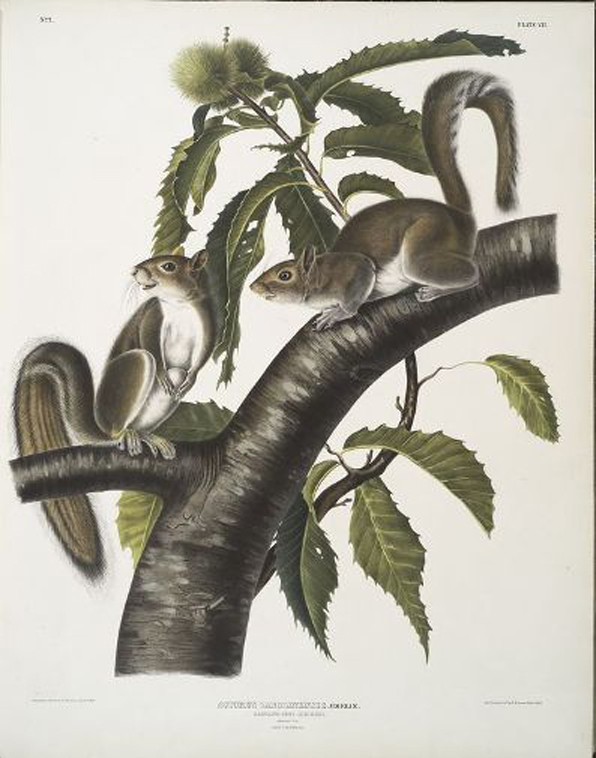 Like the birds, the animal paintings have no equal and are still considered the finest animal prints published in America. 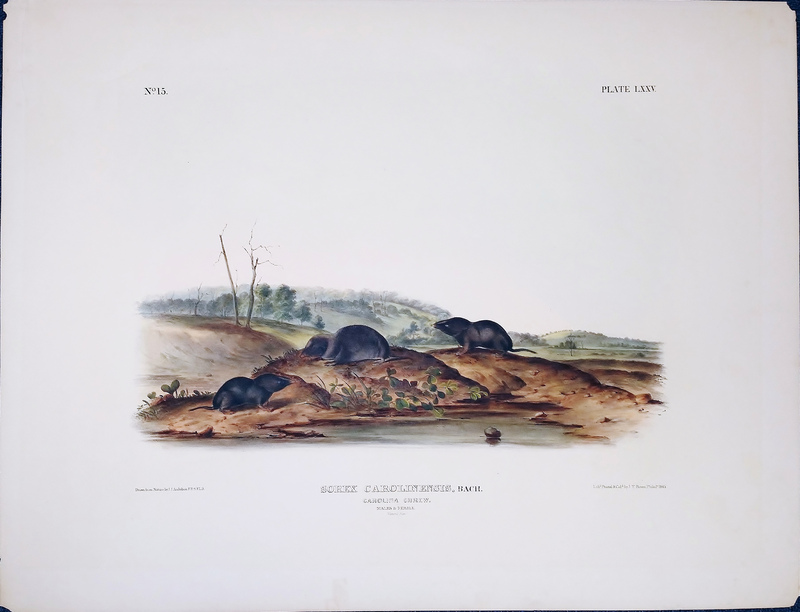 Audubon and his sons produced 150 folio drawings, measuring approximately 22 x 28 inches, hand-printed, and hand-colored by J. T. Bowen of Philadelphia. 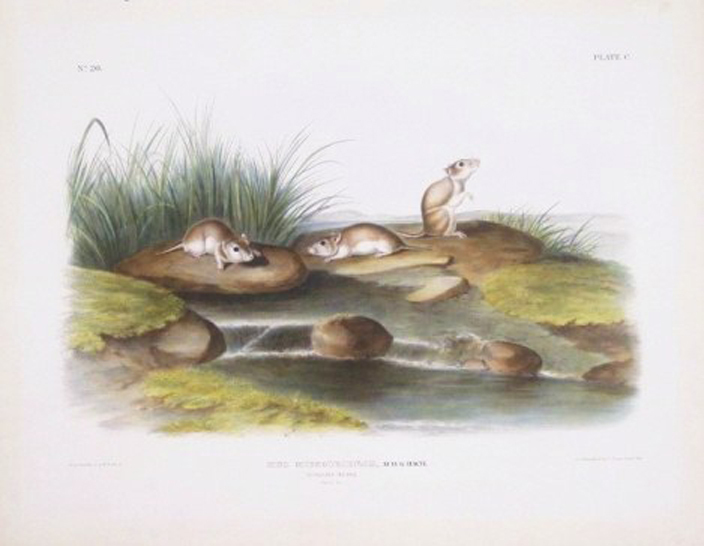 Each print is dated. 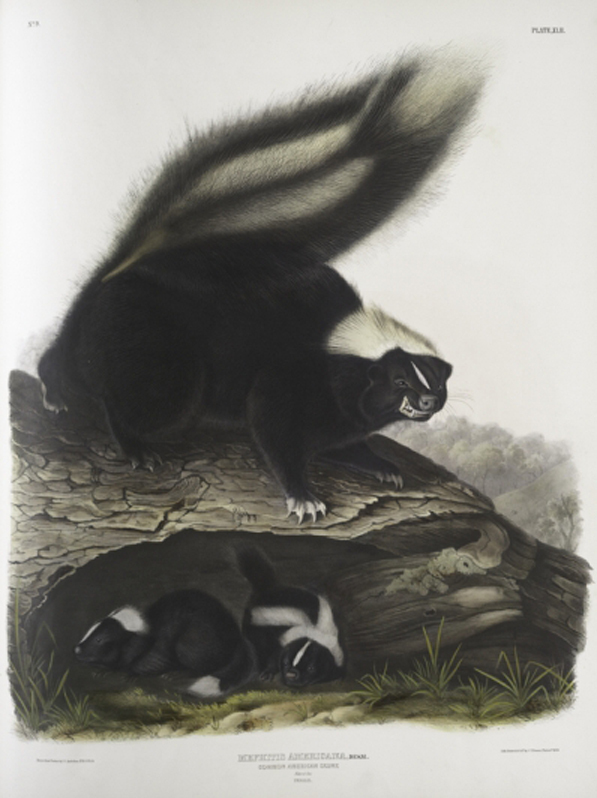 John and Victor Audubon helped with the drawings with John being credited for many of the later plates as his father's health declined. 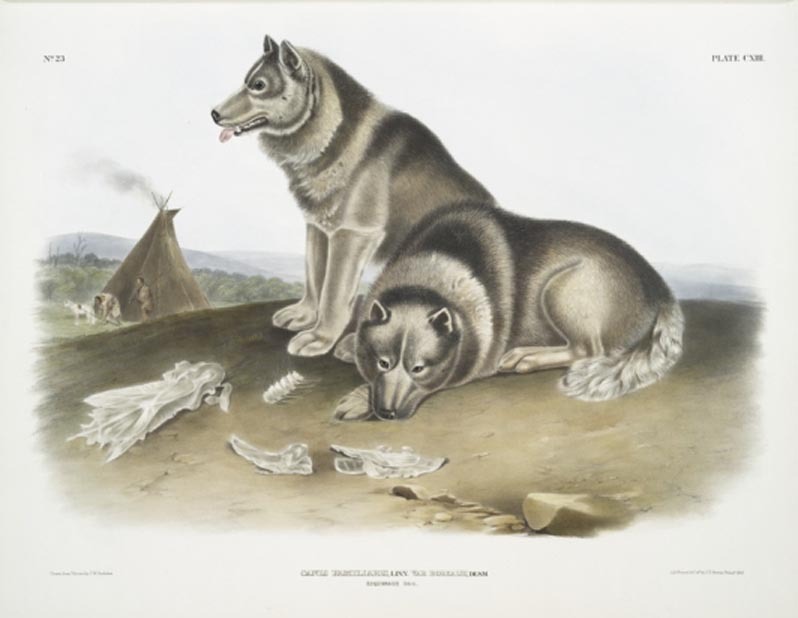 The below listed prints are Imperial Folio, First Edition Originals, with excellent color unless noted otherwise. 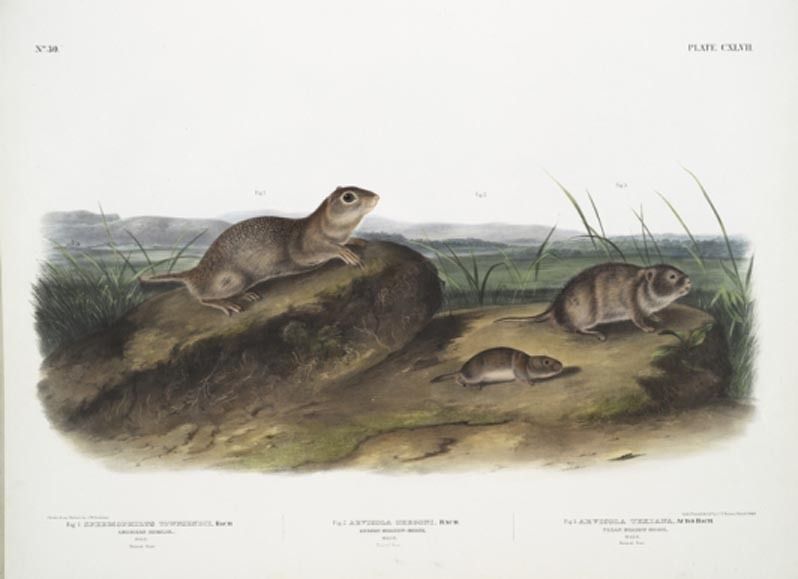 About 300 sets were published. 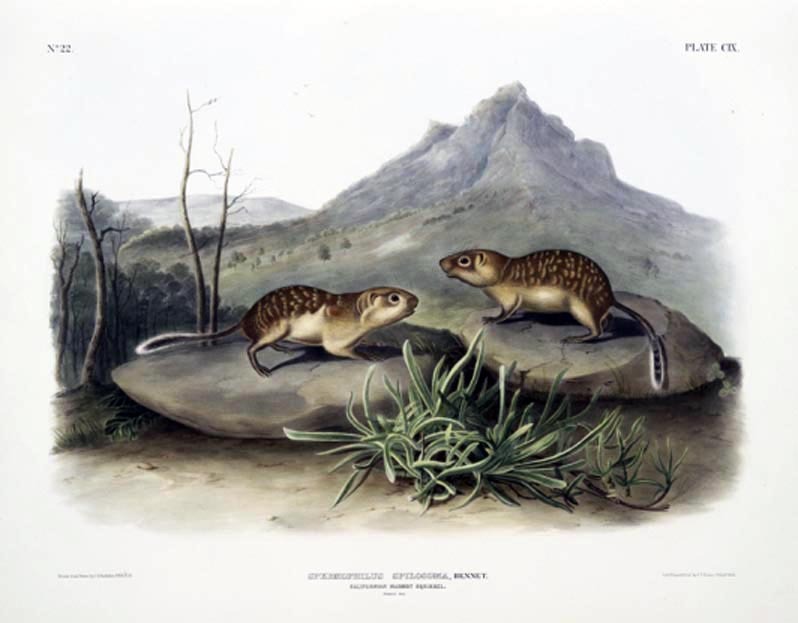 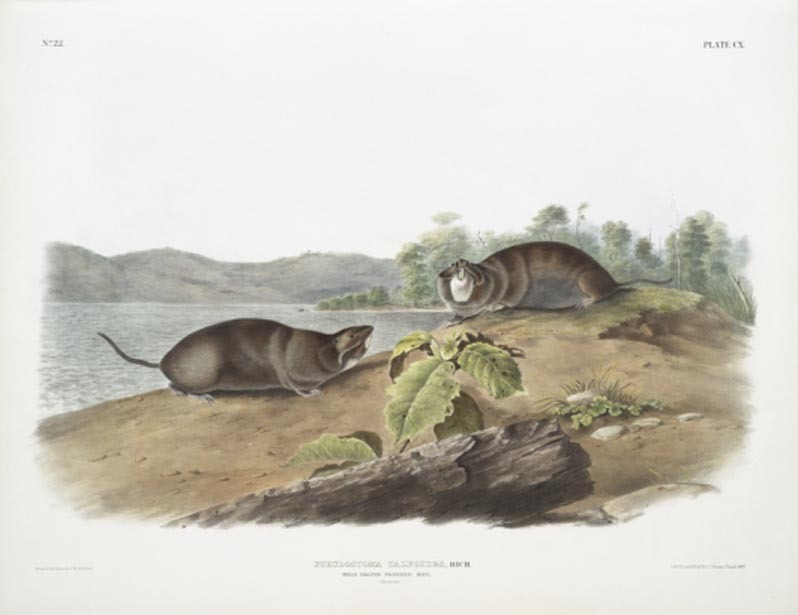 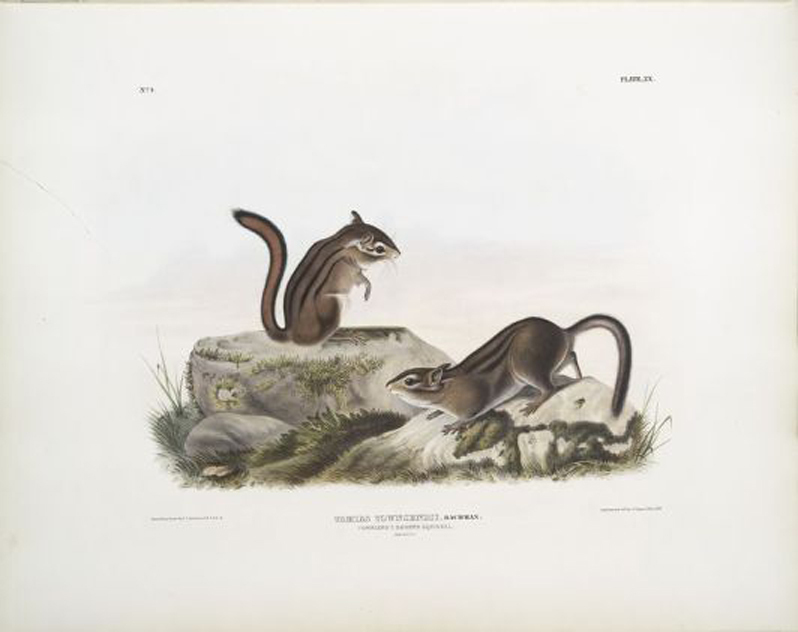 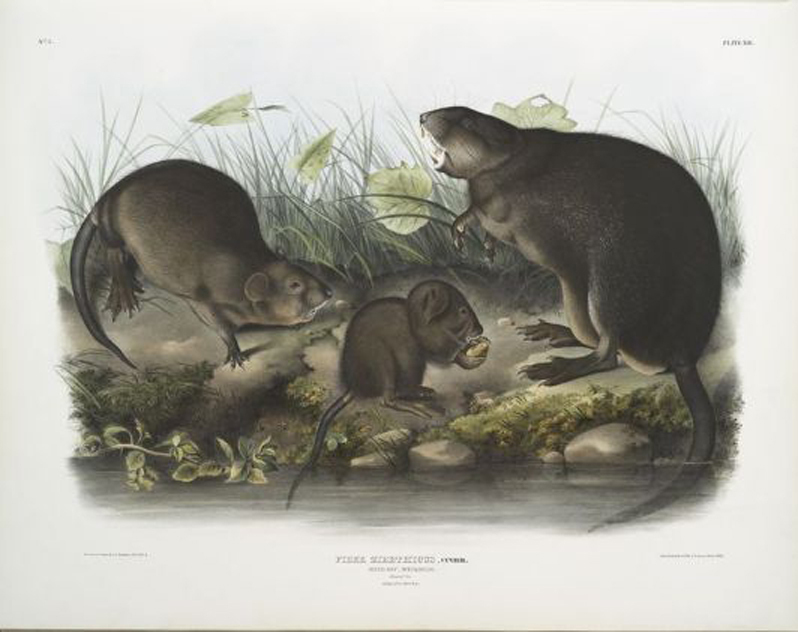 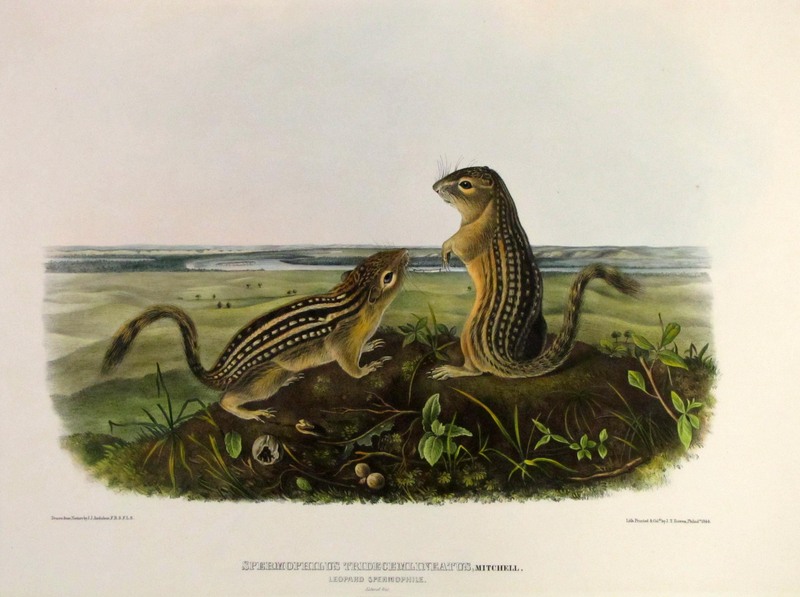 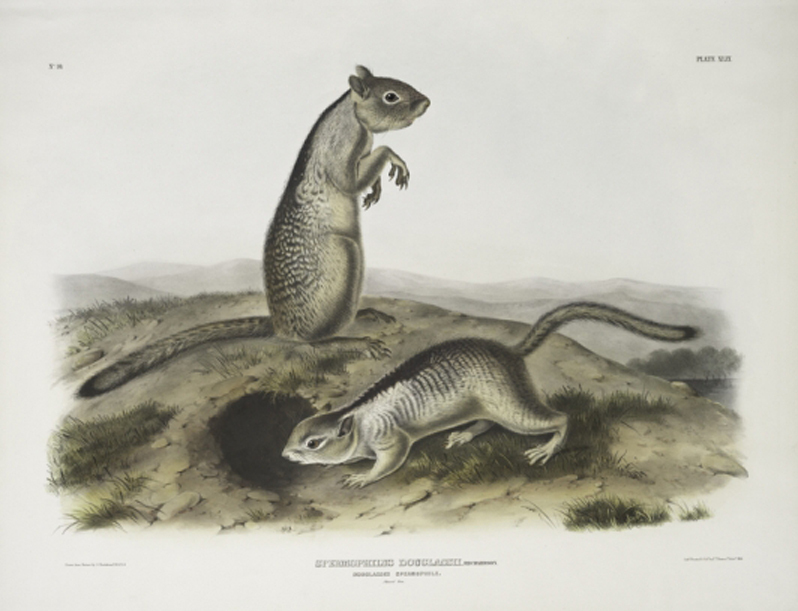 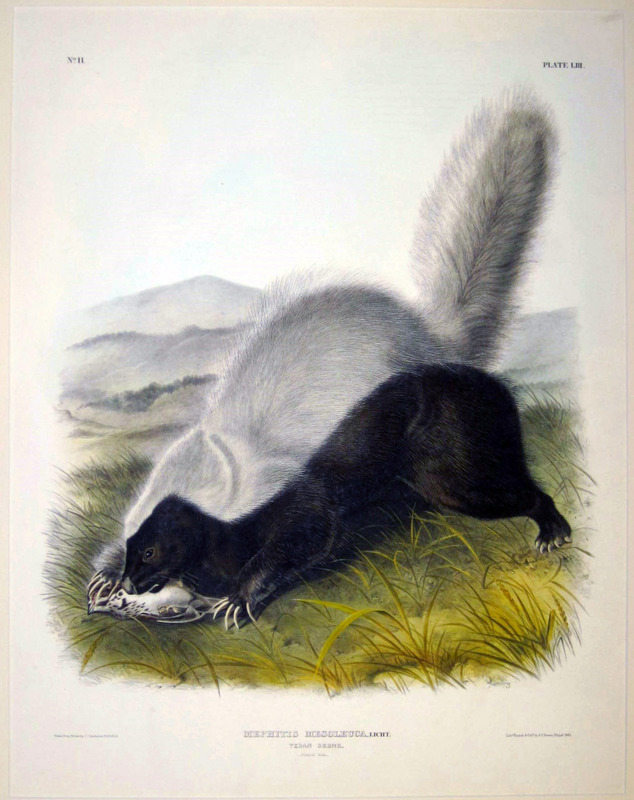 The collector should bear in mind that while America's animals were discovered over a period of time, going back to the 1600's, they were not described and illustrated in one publication until John J. Audubon and Rev. 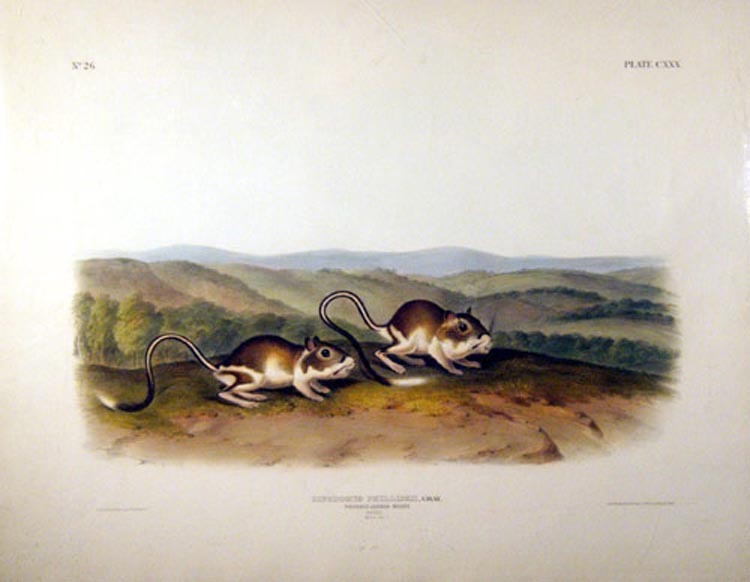 John Bachman published the Imperial Folio of quadrupeds in the early 1840's. 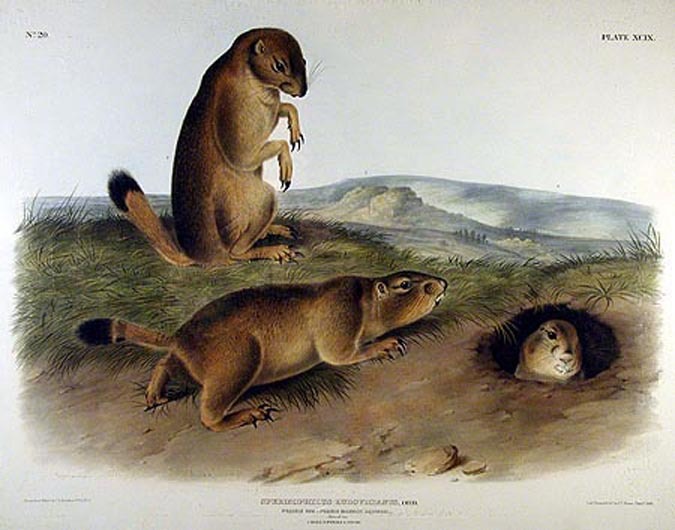 This was a monumental effort - considering that most of the animals are nocturnal. 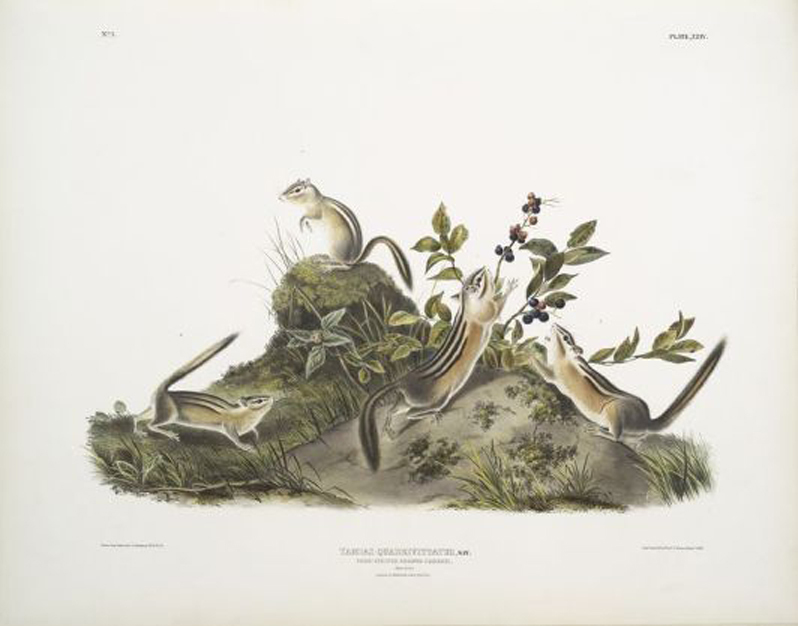 The print collector, besides owning an original Audubon print, will also possess a unique piece of American history. 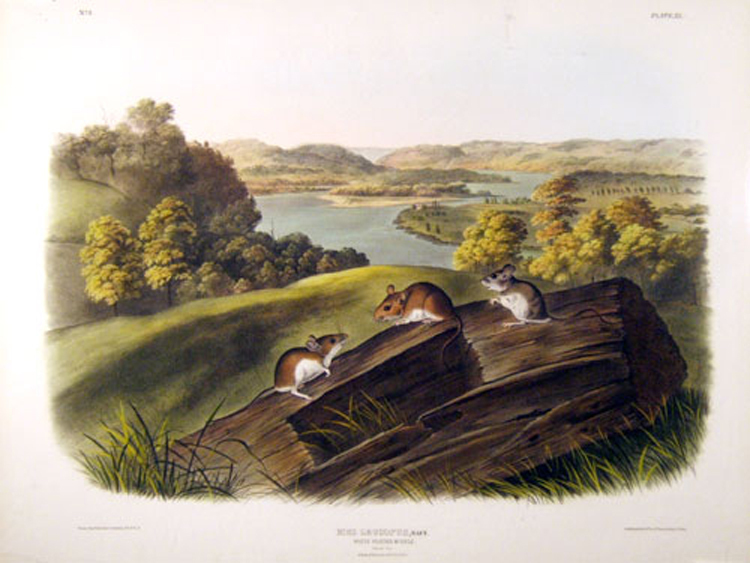 In addition, this process - a hand-colored stone lithograph - is an exquisite art form, unlikely to be seen again due to what would be an exorbitant cost in today's world. 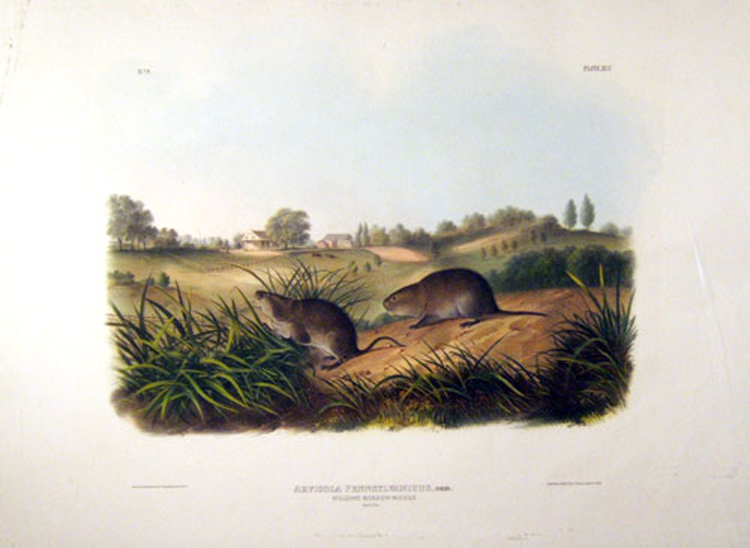 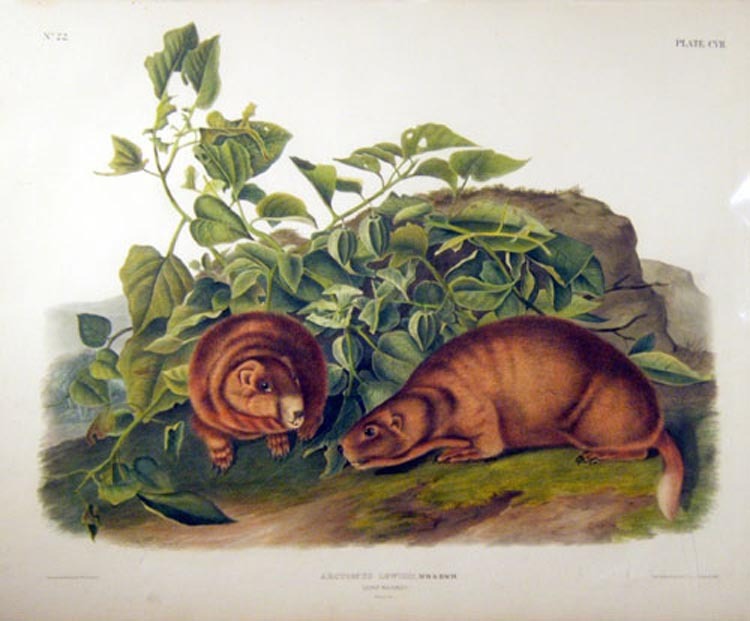 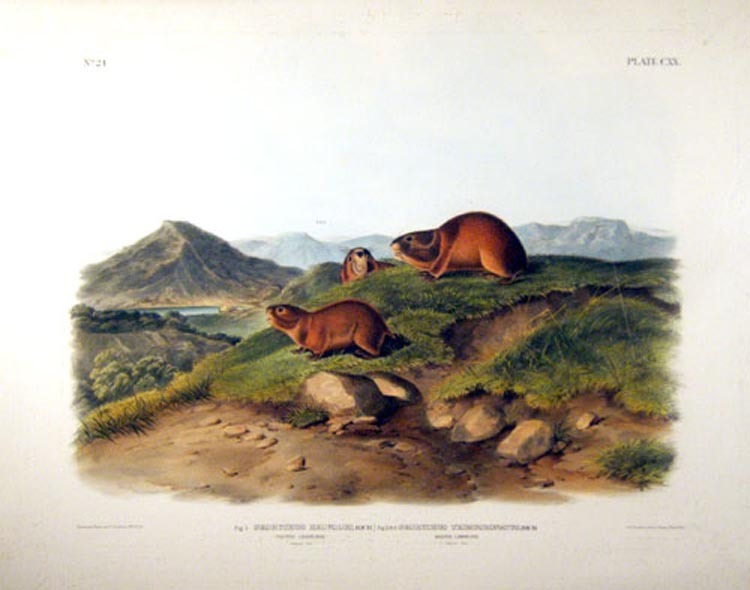 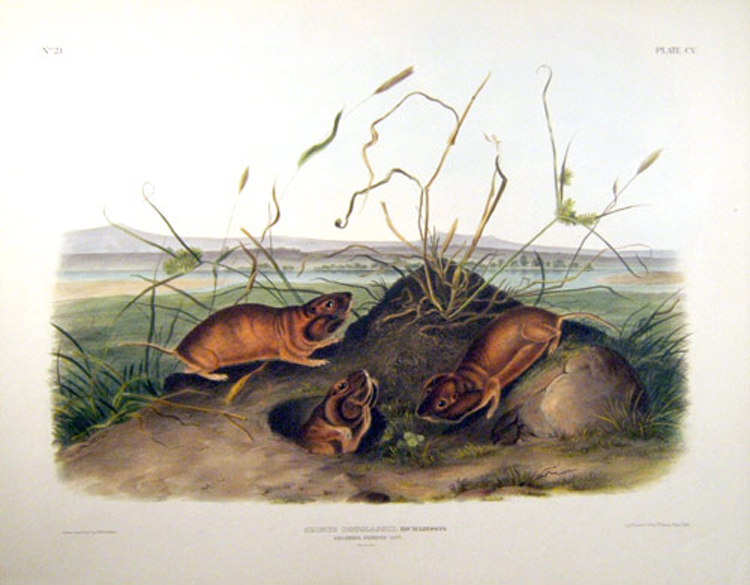 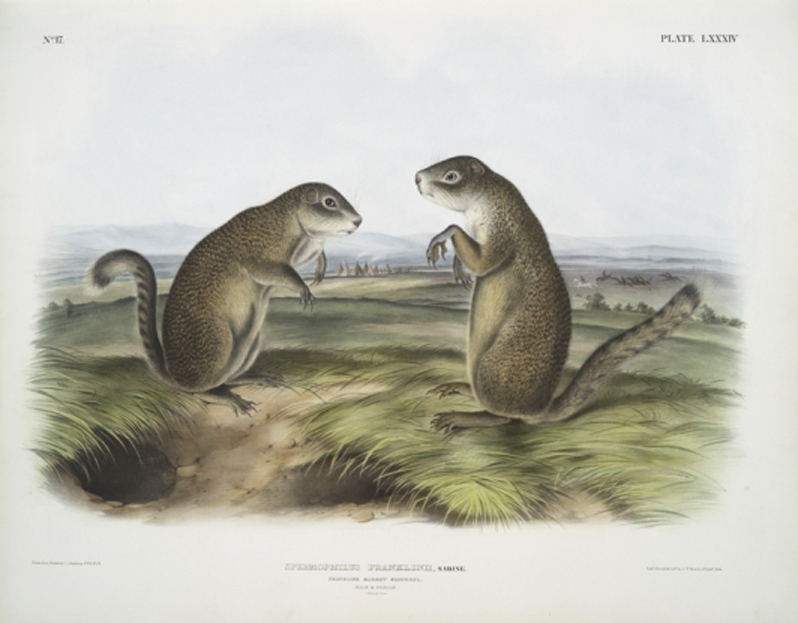 To our knowledge, for the first time on the internet, the Audubon/Bachman names of the animals are accompanied by the common names used by mammalogists today when they differ from those used in the 1800's.